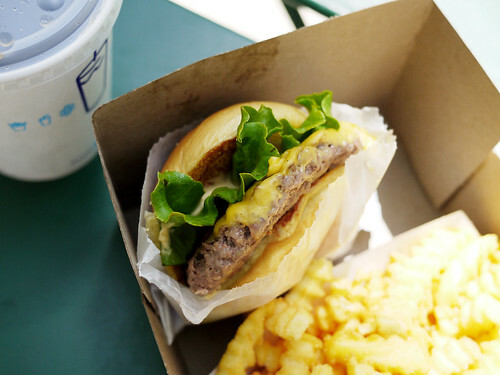 In Brief: The Shake Shack burger is as good as people claim, but we wait for rainy days and cold weather instead of braving any hour long lines. Do not overlook the shroom burger. Walking past Madison Square Park at 11:35am on this gloriously beautiful day, we noticed one of the shortest lines (maybe 8 people) ever witnessed at Shake Shack. It was a little early but who could pass up such an opportunity! With seats a plenty, the sun warming up the park, the fresh juicy burgers were devoured under prime settings. We savor this rare occasion.